By Enrolling into a course or courses provided by GTC Institute LLC you agree to comply with all terms and conditions listed below, any violations of these policies can and will result in immediate loss of course access and participation in any courses provided by GTC Institute LLC indefinitely. Any unauthorized use of the programs, trademarks, logos, or any content provided by GTC Institute will be prosecuted to the fullest extent of the law. GTC Institute or its licensors own all intellectual property rights (including copyright and database rights) in the Content. 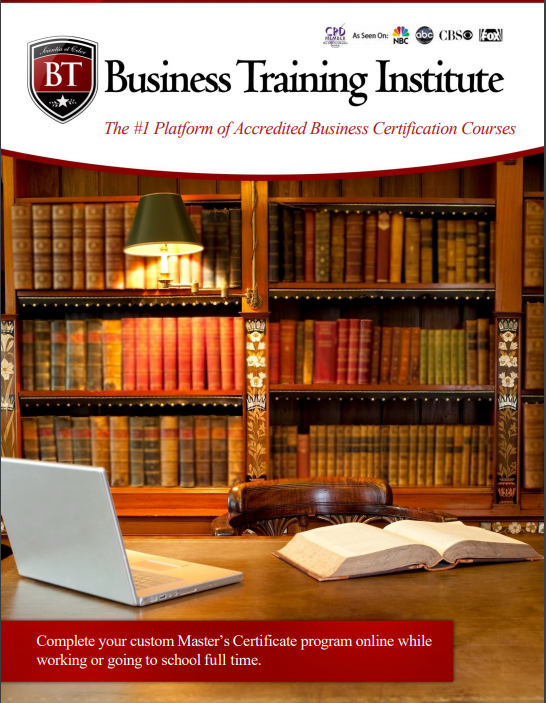 You acknowledge that “GTC Institute”, “The Finance Training Society”, “The Business Training Institute” and “Certified Translator Professional Program” is our trademarks and that you may not use it without written permission from GTC Institute. Where Content is available for download, you may download and store a single copy on a storage device personal to you such as a USB drive (but not on any shared drive, shared server or other storage device connected to a network). Use the Content for any unlawful purpose. We reserve the right to monitor your use of the Content and any service. ALL RIGHTS RESERVED BY GTC INSTITUTE LLC UNDER THIS AGREEMENT ARE WITHOUT PREJUDICE TO OUR OTHER RIGHTS AT LAW (INCLUDING APPLICABLE COPYRIGHT LEGISLATION). You must provide accurate information, or your registration may be cancelled at any time without notice. Registration is restricted solely to the registrant and cannot be shared with any other parties. If you believe any information has been compromised in relation to your enrollment in one of GTC Institute’s course, please contact us immediately via email in relation to your program. GTC Institute LLC reserves the right to change, suspend, or terminate access at any time due to lack of payment under a subscription. Payments will be submitted in US dollars, any conversions from other currencies are at the expense of the registrant. Taxes may also apply. By submitting payment via Credit/Debit card, PayPal, or Wire Transfer you agree that all the information submitted is accurate, and you are the owner or authorized by the owner of the account to submit payment from the account. Any unauthorized use will result in termination of course access and immediate refund of fees and may also result in criminal activity being reported to the governing law enforcement body. You authorize GTC Institute use of your name, photo, voice, testimonial, and other relevant information to be used only for promotional or marketing content, digital or print, in relation to the course or courses you participate in. You acknowledge you will not be compensated for use of your information and waive rights to claim against GTC Institute including claims of defamation, right of publicity, copyright, or any other violation of law. GTC Institute offers subscription based payment plans to prospective enrollees. These subscriptions will be billed automatically on the same day of the month each month through the same credit/debit card until completed or cancelled. GTC Institute reserves the right to change terms of the subscription at any time including the price and length of which you will be notified. By subscribing to a payment plan pricing will remain for duration of the plan and there will be no adjustments based on new pricing or promotions that become available after you subscribe to a payment plan. Cancellation of subscription prior to completion will result in loss of access to the program and forfeiture of previous funds paid as apart of the subscription. By enrolling in the subscription, you agree to begin enrollment immediately and are not entitled to a refund except as defended by the refund policy. To cancel your subscription please call 305-503-9050 or send an email. GTC Institute LLC offers a 14 days refund policy from the date payment was submitted to GTC Institute LLC. Refunds can be redeemed by either calling 305-5053-9050 or sending an email along with reason for cancellation. Any requests made after the 14-day period will be denied. GTC Institute will not grant any transfers of a course to a new owner or change to a different course. 8.Third Party Websites and Content. GTC Institute LLC assumes no responsibility for any materials posted by third parties on any of the GTC Institute LLC websites or accessed on the websites through hypertext or other computer links to sites hosted by third parties that are outside of GTC Institute LLC’s control (“Third-Party Site”). GTC Institute does not endorse products, services or information provided by such third parties and shall not be responsible or liable, directly or indirectly for any damage or loss caused or alleged to be caused by or in connection with, use or reliance on any content, goods or services available on or through any Third-Party Site or otherwise posted by third parties on any of the GTC Institute LLC’s websites. Queries and Complaints must be submitted in writing via post mail or email with full details of dates, times, and full description of the matter. Each complaint will be handled on a case by case basis and resolved at the discretion of GTC Institute LLC in the best interest of both GTC Institute and the complainant in accordance with all U.S. laws and regulations. You may apply for a partial scholarship from GTC Institute through the application process. GTC Institute reserves the right to award partial scholarships on a case by case basis. GTC Institute offers self-study courses only. Courses must be complete within 1 year of registration date with a satisfactory score of 70% to earn certification. If course is not completed within the time frame a reactivation fee of $99 will be needed in order to resume the course. In order to access the course or courses a computer is recommended either Windows 7+ or Mac iOS and a stable internet connection is required. GTC Institute will review courses and contents on a quarterly basis for quality assurance. During these reviews GTC Institute will provide updates to course contents (text publications, audios, and video modules) and the most relevant and update information as new information becomes available. These updates and changes will be made without notice to the program participants. While quarterly reviews will take place updates will made as needed. This section is important and you should read it carefully. It makes clear to what extent, if any, GTC Institute accepts responsibility (liability) to you for your use of the Content and the services provided by GTC Institute. The Content and this website is provided on an “as is” and “as available” basis. While GTC Institute endeavors to provide programs that are current and up-to date, these programs, and the associated courseware, are provided on an “as is” basis. We are not liable to you for matters beyond our reasonable control, for the internet, for acts of God, or acts of third parties. We are not responsible for any use of Content by you outside the scope of this Agreement. We do not accept any liability to you for the Content or this website if you have not paid any fees to GTC Institute. We do not make any promises as to the availability, quality, security, completeness or accuracy of the Content or this website, or that it is free from any viruses or anything similar. We will try to develop the Content and operate this website with reasonable skill and care and will use reasonable efforts to remedy any fault of which we become aware. This is the only promise we make in relation to the Content and this website. The Content is only for your general information and use and is not intended to address your particular requirements. It does not constitute any form of advice, recommendation, representation or endorsement and should not be relied upon by users in making (or refraining from making) any specific business, investment or other decisions. TO THE FULLEST EXTENT ALLOWED BY APPLICABLE LAW, WE DISCLAIM ALL WARRANTIES, REPRESENTATIONS, CONDITIONS AND DUTIES OF ANY KIND, INCLUDING WITHOUT LIMITATION, ANY WARRANTIES OF SATISFACTORY QUALITY, MERCHANTIBILITY OR OF FITNESS FOR A PARTICULAR PURPOSE. GTC Institute DOES NOT WARRANT THAT THE CONTENT, ANY PROGRAM OR ITS COURSEWARE WILL MEET ANY PARTICULAR REQUIREMENTS OR NEEDS, OR THAT THE CONTENT OF OR THE COURSEWARE FOR ANY PROGRAM WILL BE ERROR-FREE. Neither GTC Institute nor its licensors shall have any liability to YOU FOR any INDIRECT, CONSEQUENTIAL, SPECIAL, incidental, punitive or exemplary damages, including, but not limited to, Lost profits, lost revenues and loss of data, WHETHER OR NOT WE HAVE BEEN ADVISED OF THE POSSIBILITY OF SUCH DAMAGES, AND ON ANY THEORY OF LIABILITY. WE LIMIT OUR FINANCIAL RESPONSIBILITY TO YOU ARISING FROM YOUR USE OF THE CONTENT OR THE SERVICES OR OTHERWISE IN RELATION TO THIS AGREEMENT TO DIRECT DAMAGES ONLY, SUBJECT TO A LIMIT EQUAL TO THE PRICE YOU PAID FOR YOUR SUBSCRIPTION OR THE SERVICES. THE LIMITATIONS OF LIABILITY IN THIS SECTION 14 APPLY FOR THE BENEFIT OF GTC Institute LLC, ITS LICENSORS, AFFILIATES AND ALL OF THEIR RESPECTIVE OFFICERS, DIRECTORS, EMPLOYEES, AGENTS, SUCCESSORS AND ASSIGNS. Nothing in this Agreement shall operate to exclude or restrict our liability for death or personal injury caused by that party’s negligence; for fraud or fraudulent misrepresentation; or for any liability which cannot be limited or excluded by law. If you are resident anywhere in the world other than the United States, this Agreement shall be governed by, and construed in accordance with, English law and to the extent possible in the applicable jurisdiction, you and we irrevocably agree that the courts of England shall have exclusive jurisdiction to settle any dispute which may arise out of, under, or in connection with this Agreement. If you are resident in the United States, this Agreement shall be governed by, and construed in accordance with, the laws of the State of Florida, United States of America, without regard to any conflict or choice of law principles and you and we irrevocably agree that the appropriate federal or state court in Miami-Dade County, Florida shall have exclusive jurisdiction to settle any dispute which may arise out of, under, or in connection with this Agreement. You may not assign, sub-license or otherwise transfer any of your rights under these terms and conditions. You agree that we may assign any of our rights or delegate any of our duties or obligations under this Agreement without your consent to any third party, including in connection with a reorganization, merger, consolidation, sale of assets or other similar transaction. Headings in these terms and conditions are for convenience only and will have no legal meaning or effect. This Agreement constitutes the entire agreement between GTC Institute and you as to the Content and services and supersedes all previous agreements, communications, representations and arrangements, either written or oral. Changes to these policies can and will be made without notice. GTC Institute LLC takes privacy very seriously. We protect the personal information of all registrants and will not distribute any contact or personal information to any other agency. We may use your information to contact you regarding market research.